Take heart: The bad news is wrong, and you are called to create, having been made in His image. A small brouhaha broke out on an insular film site about an Internet article with the title: “Why Christian Movies Are So Terrible.” The author, from his small mid-Western academic ivory tower, insisted that there are no exceptions – all Christian movies are terrible. Of course, anyone who thinks logically, and perhaps anyone who thinks creatively, knows that such a sweeping generalization is inherently contradictory. Even so, the issue is very important for the sake of the Good News that sets us free from the world, the flesh and the Accuser. Too many unwittingly or willfully join The Accuser of the brethren by proclaiming the same tired fallacious rubric. In that regard, criticism is good if it is helpful, educated criticism that looks at the architecture, mechanics and implementation of the movie, TV program or art, but not if it criticizes only to destroy while puffing up the Accuser. Saying that Christian movies are terrible shows a lack of understanding movies. Besides the fact that I grew up in the Entertainment Industry with parents who were Hollywood stars in the 1930s, at MOVIEGUIDE®, we watch almost 100% of all the movies that open in 100 theaters or more. If anyone arrogantly thinks Christian movies are poorly made, try watching every movies that comes out of Hollywood and or every movie in any genre, such as action adventure, horror, chick-flicks, adolescent movies, Marxist movies, feminist movies, homosexual movies, etc. The viewer who actually does this will soon discover that most movies are mediocre, and many are awful. The week the Anti-Christian movie article hit the web, some truly awful, structurally-bad movies came out, such as REPLICA, HOLMES & WATSON, DESTROYER, WELCOME TO MARWEN, etc., and most of these had big stars and renowned filmmakers. If the negative nabobs really want to complain, then they should watch some of the gay-themed movies being produced – terrible would be too generous. But even so, there are entertaining well-made movies in each and every genre, even the genre we avoid for biblical reasons. The Oscars and other award ceremonies honor some of these movies, while others do well at the box office. 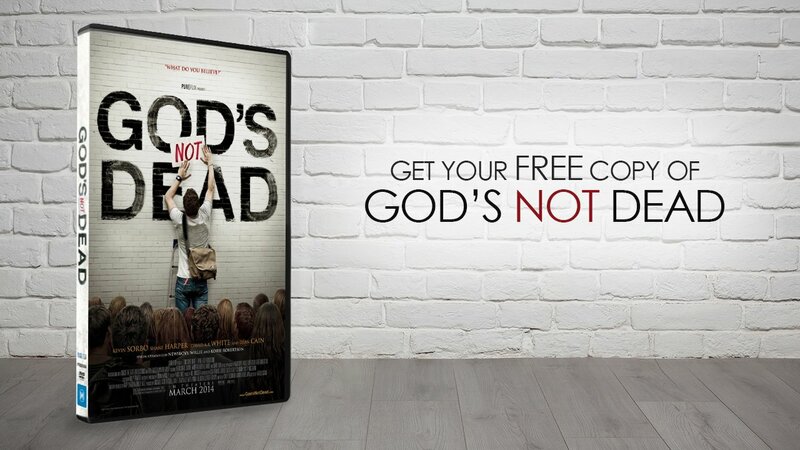 The reason MOVIEGUIDE®’s Report to the Entertainment Industry shows movies with strong Christian content performing so well at the box office, is because of the flood of other movies with Non-Christian or Anti-Christian worldviews that are stinkers. That said, every successful movie follows a formula. So, does every trailer. Go to any movie and sit through trailer after trailer for end of the world, dystopian fantasy movies, and you’ll soon realize they all hit the same notes at the same time. There are only a few trailer cutters in Hollywood. Several have complained to me that they would love to be more creatives, but the studios tell them what elements HAVE to be in the trailer. With movies per se, read Robert McKee’s STORY or “Save the Cat” of HOW TO SUCCEED IN HOLLYWOOD (WITHOUT LOSING YOUR SOUL) or go to UCLA or USC, and you will learn the formula. In fact if you want to make movies, you should read everything and study, study, study. Most Christian movies as well as the other genres mentioned above fail because they don’t follow the formula. One Christian movie, for instance, put the Page 17 plot point on Page 54, so the audience fell asleep before the jeopardy and villain was even introduced. As Walt Disney reminded his filmmakers, for every tear you need a laugh. Every successful movie tries to tie things up in a sentimental bow at the end or you alienate your audience. BLACK PANTHER, AVENGERS: INFINITY WAR, INCREDIBLES 2, THE GRINCH (2018), ANT-MAN AND THE WASP, and every one of the top ten and top 25 box office movies tie things up in a sentimental bow at the end. As I repeat to my classes, if Marlin doesn’t find Nemo, FINDING NEMO would alienate audiences. Movies that don’t tie things up in a sentimental bow at the end usually fail at the box office. Furthermore, every successful movie has stereotypes and platitudes. They are shorthand ways to hook the audience. When we watch AVENGERS: INFINITY WAR, we know the characters, understand the stereotypes and the platitudes, and are ready for the roller coaster ride. One of the greatest Hollywood song writers, Al Kasha, points out that every great song is based on stereotypes. Movies are made for specific audiences. Tyler Perry has his audience. Chick flicks are aimed at young women. Action adventure movies are aimed at young men. Many Disney movies are aimed at children. Gay movies are aimed at a target audience. Horror movies have a target audience. This is the business of the Entertainment Industry, just like car companies create sedans and trucks for working people, mini-vans for families, and convertibles for young people looking for love. Educational films are important and worthwhile. Commercials are necessary. Promotional films are important. So, are movies to build the church. But, a low budget educational movie can’t compete with BLACK PANTHER. It’s not meant to! As the former chair of two film and TV departments (City University of NY and UC Berkeley’s “Center for the Arts, Religion and Education” (CARE), an affiliated Center of the Graduate Theological Union (GTU)), I have spent over 40 years teaching aspiring filmmakers. They need to learn. They need to grow. Don’t crush them in their infancy. Hollywood filmmaking is a business. The WGA (Writer’s Guild of America) was asked in the 1930s if they wanted to be classified as an art or a business. The WGA said business. It is the Entertainment Industry, not the entertainment art. 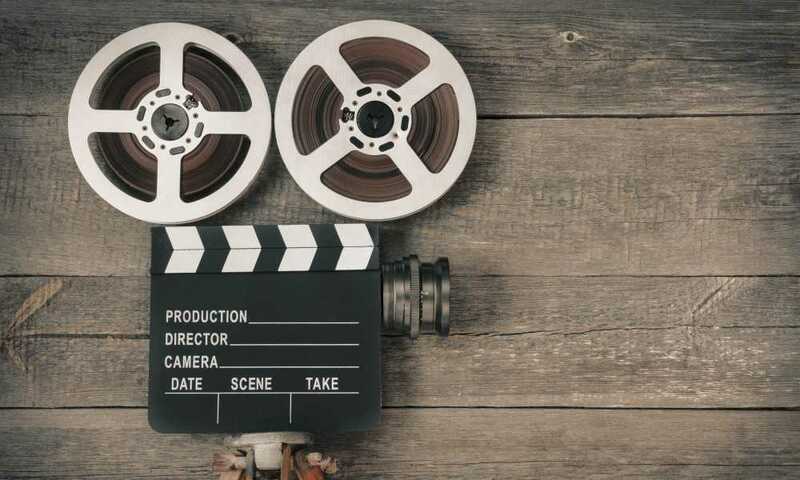 There have been faith-based movies since the 1890s, such as the 1897 Passion Play, the 1908 THE LIFE OF CHRIST and BEN HUR, the 1909 THE KISS OF JUDAS, THE BIRTH OF JESUS, THE STAR OF BETHLEHEM (produced by Thomas A. Edison), the 1911 THOUGH YOUR SINS BE AS SCARLET, FROM THE MANGER TO THE CROSS, and so many that you will have to read my article, “A Brief Chronological Survey of Some of the Major Movies & TV Programs Featuring Jesus.” Before saying all Christian movies are terrible, you may want to watch some of the great movies from the past. 2018 has had several very good faith-based movies such as I CAN ONLY IMAGINE. They would do better if they had the $49 million that the studios put into promotion and advertising on their other movies, but even so, they are very good creative efforts to reach the audience and/or to equip the church. And, the best ones often get high scores from CinemaScore, the outfit that polls moviegoers as they come out of a theater after actually having seen the movie. Just because a film critic snob at the New York Times hated the movie doesn’t mean the movie was terrible. In fact, the opposite is often true! If anyone wants to understand the Entertainment Industry, they should read MOVIEGUIDE®’s Annual Report to the Entertainment Industry and HOW TO SUCCEED IN HOLLYWOOD (WITHOUT LOSING YOUR SOUL). We should help promote the people of faith, not denigrate them. Three are too many negative nabobs out there and too many accusers of the brethren. They should try to criticize gay movies, or Marxist movies, or Muslim movies. Why do so many Christians accuse their own, when other religious and cultural groups encourage their own? Please pray that people don’t buy into the negative nabob point of view that delights in accusing the creators, even those working with low budgets or we will abandon the Entertainment Industry to the Adversaries of faith and values for years and generations to come.